← YAY! New Purchase for warm weather! After seeing the pole mods on the Superfly, I decided I wanted one. 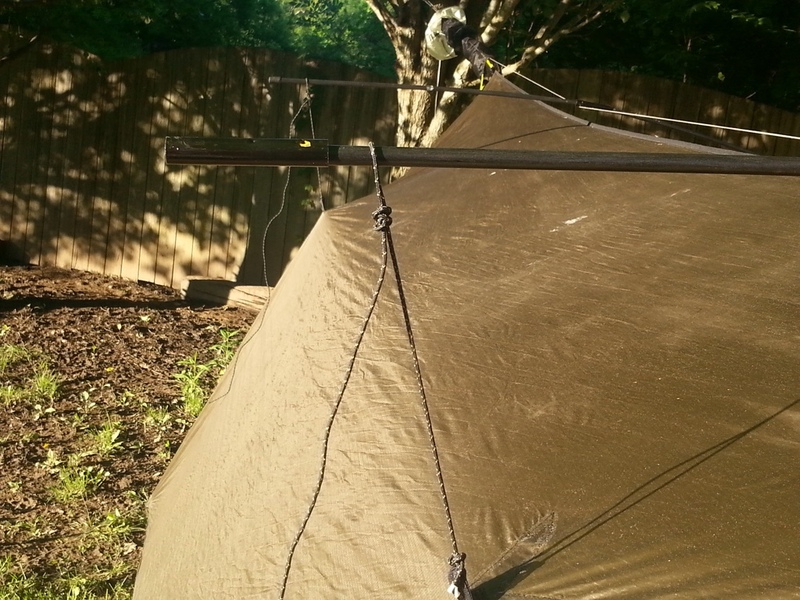 I decided on the pole modification that went over the ridgeline and did not require any sewing. There are several companies that produce these, but I didn’t have the money at the time to purchase one from one of the fine cottage vendors that produce them already made as they cost $45.00 and up. The ones sold are pre-made from thin aluminum poles and work great. You are also able to order the parts and assemble them yourself for quite a bit less. I was too impatient to order the parts, my camping funds were a little low, and my mind was in overdrive. I went with the “adapt, improvise, and survive” mindset. I went to Academy Sports and picked up one of these: http://www.academy.com/shop/pdp/timb…59?N=882470663 for $5.99 plus tax. 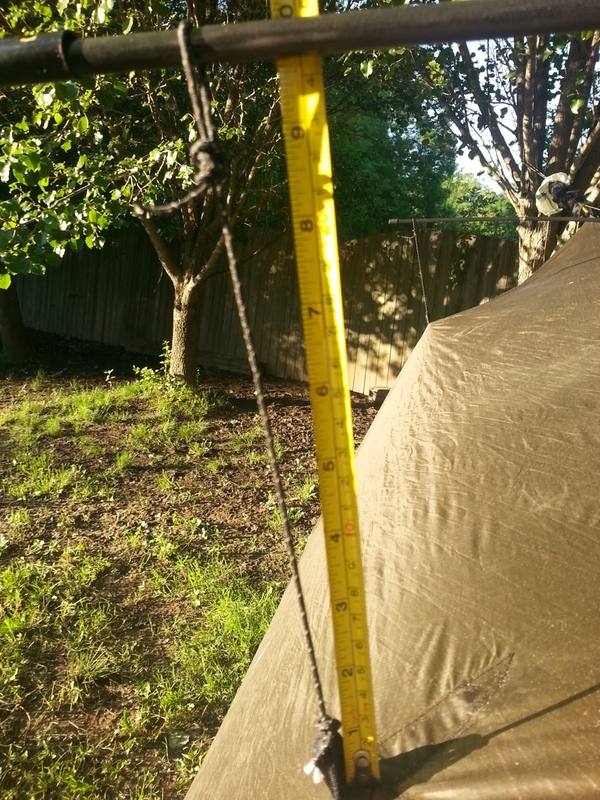 It comes with 4 poles 25″ in length, the shock cord, and the connectors are already attached on one end of each pole. I ran the shock cord through the poles connecting two poles at a time. I attached them to my Superfly by making a knot in my existing Lawson Glowire about 9″ from the tie out loop on each side. I may shorten the length of the cord in the future. They go over my continuous ridgeline from DutchWare (http://www.dutchwaregear.com/continuous-ridgeline.html). I then took them out to my Superfly and they seemed to work well. I used them the past weekend at the Bankhead Forest group hang and they survived all weekend and we had some pretty hard rain and strong winds on Friday night. 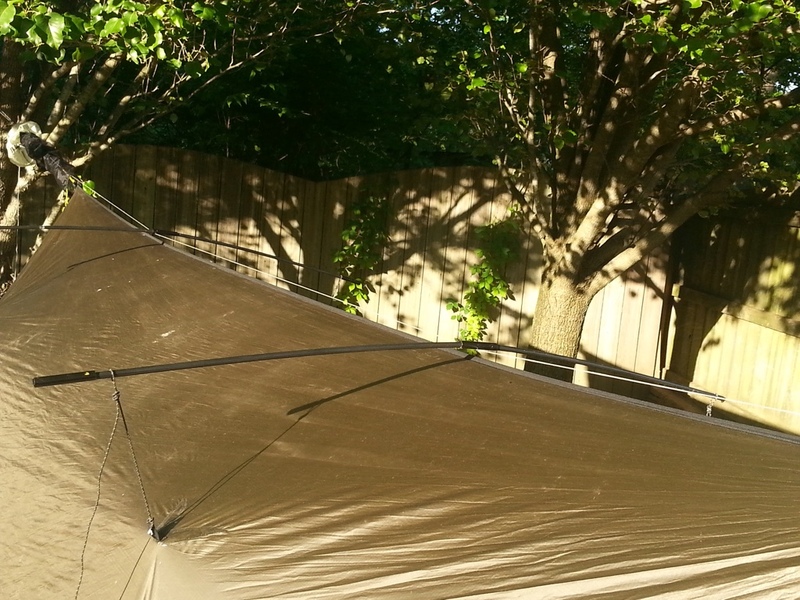 I have them on my tarp at the moment because I saw a few drops of water come through and I just touched up the seams with the flowable windshield sealant. Once it dries, I will weigh them, but I doubt they weight more than a few ounces. I just thought I’d share in case anyone else wants a cheap DIY alternative. 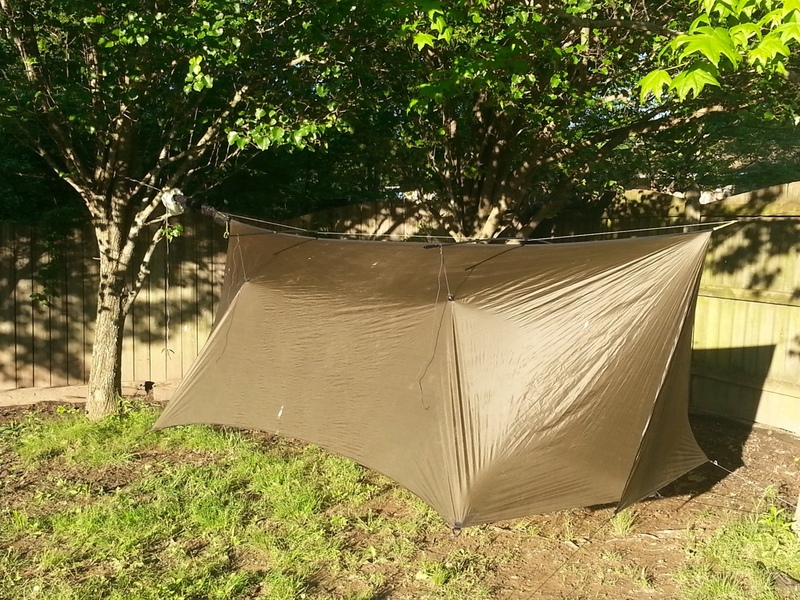 This entry was posted in Backpacking, DIY, Hammock Camping, Report, Testing. Bookmark the permalink.